Choosing the right Christmas gift can be hard no matter who she is, a friend, sibling, wife or mother. There is always the question of whether she will like it, what size to choose and if it’s her style. And let's be honest, we can’t get her another glasshouse candle. It’s one of life’s tough decisions, so this year let us help you. You can pick one up in the salon or alternatively purchase one online - as a download, or can be mailed to you if you choose. Our vouchers are valid for 3 years from date of purchase. And the best part, if you don’t know what treatment she wants, it is redeemable for any other service(s) of equal value. Here are our treatment picks for Christmas gift vouchers. Make her feel like a Queen by purchasing one of our luxurious facial vouchers. 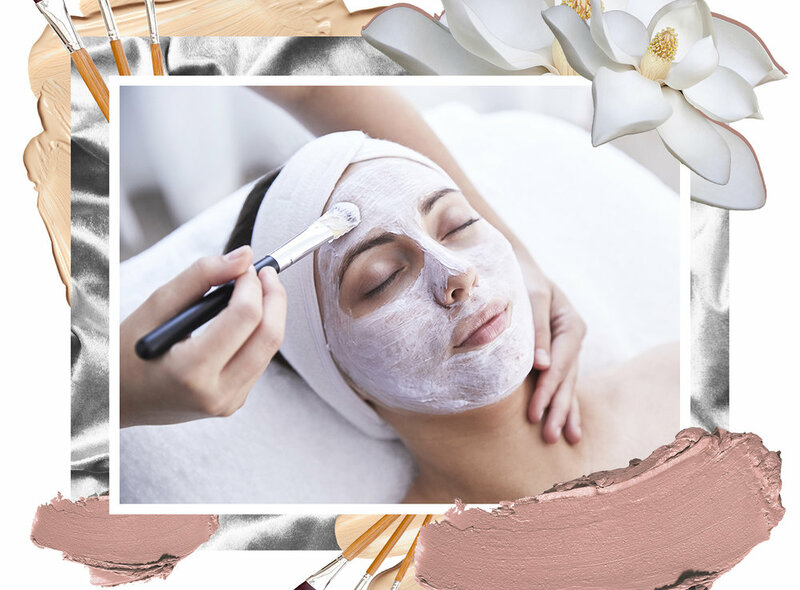 Our facials are not only designed to make the client feel stress-free and rejuvenated but to make their skin feel (and look) amazing. Using only high performing products from Germaine De Cappuccini, she will be treated in style where luxury meets results. Our highly trained therapists can tailor the treatment to suit individual client needs. The Express Facial - $90 | 30 minutes. It’s a busy time of the year so why not feel fresh in a flash. The Express Facial offers all the perks without the fuss. Double cleanse, exfoliate, steam and protectors. Get that summer glow from our powerful Vitamin C Facial. The antioxidant treatment evens out skin tone, reduces inflammation, fine line appearance and boots collagen production. Let her feel radiant this Christmas (Includes a relaxing hand and foot massage). This award winning facial formula helps protect and repair skin, preventing premature ageing. Let her feel luminous and stress free for the silly season. (Includes a relaxing hand and foot massage, plus Omnilux light therapy treatment). Make her feel like a princess with a professional make-up voucher. Perfect for the holiday season and those endless Sydney summer parties. Our specialists use a variety of leading brands to suit our client’s needs. Healthy skin creates a great base for make-up so you could even throw in an Express Facial too, if you’re feeling extra generous. We all want that summer glow without the sun damage right? Why not spoil her and protect her all in one, with one of our Spray Tan Vouchers. With individual consultations, we pick tanning products to suit our client’s skin. We also have overnight and express tans to match all schedules. Not only are our tans long lasting (and in the silly season could last a full week of exciting events) but we offer 5 x tan packages and 10 x tan packages, for the longest lasting gift ever. It has certainly been a big year for The Parlour Room and we are so grateful for your continued support. We wish all of you a very happy and safe Christmas.